President Trump’s new national security adviser, H.R. McMaster, has reportedly spoken out against the use of the term “radical Islamic terrorism” — a notable break with the president and many others on the right when it comes to talking about the war on terror. “Radical Islamic terrorism” has become a kind of catchphrase for Republicans and other conservatives in recent years as they have sought to claim, at least in theory, greater political credibility with regards to the threat of terrorism. To that end, Trump has repeatedly emphasized the phrase and regularly ridiculed anyone who tries to label terrorism differently, while others in Trump’s inner circle like chief strategist Steven Bannon have embraced the idea that the struggle against terrorism is in fact the beginning of a full-on religious war. 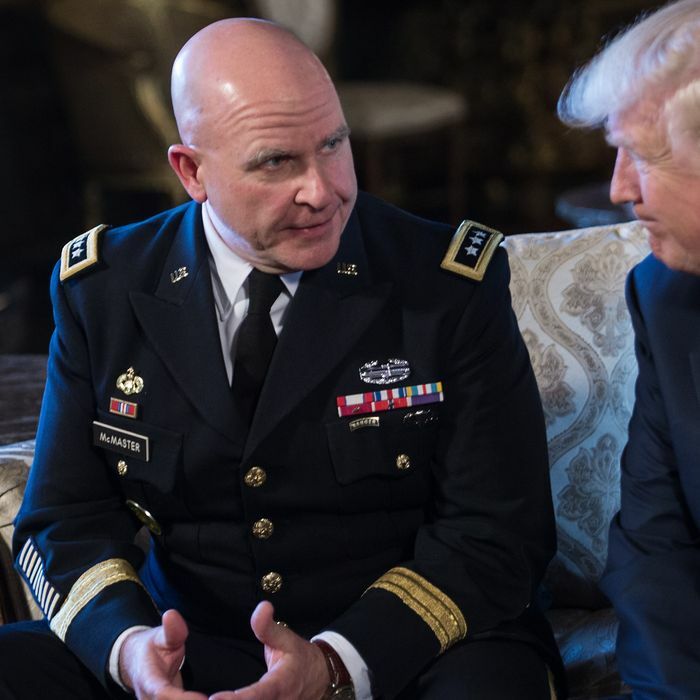 If the reports about McMaster’s comments are accurate, that would mean that the Iraq War veteran has already differentiated himself from his ousted predecessor, Michael Flynn, in a significant way. Flynn had made a series of Islamophobic remarks during Trump’s presidential campaign, at one point tweeting his opinion that “Fear of Muslims is RATIONAL,” and additionally claiming that political correctness toward Muslims was putting the U.S. in danger. “Islam is not a real religion,” Flynn said over the summer, “but a political ideology masked behind a religion.” It would seem that McMaster does not hold the same views. Looking at previous administrations, Presidents Obama and George W. Bush sought to keep terrorism and Islam separate in their rhetoric. Their assumption, which reflects the thinking of most counterterrorism experts, was that allowing the War on Terror to become confused with a war on Islam would hamper U.S. counterterrorism, both because such rhetoric would echo and aid the propaganda and recruitment efforts of jihadist groups and because U.S. counterterrorism efforts so often rely on alliances with Muslims and Muslim-led governments around the world. On the other side, Republicans have argued that disconnecting terrorism and Islam signals an unwillingness to recognize the real threat of terrorism, though it’s never been totally clear how the alternative rhetoric would actually improve counterterrorism efforts. The Guardian reports that some White House staffers who still favor the term, like Trump, exchanged some awkward looks during McMaster’s comments on Thursday, but so far there hasn’t been any indication of official pushback from the White House regarding the issue. There is also, however, no way of knowing if McMaster’s more moderate views regarding the religious affiliations of terrorists will have any real impact on Trump administration policy.